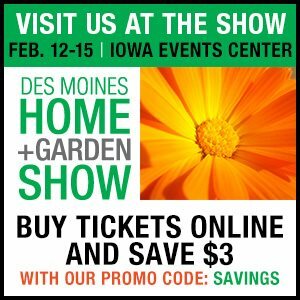 We'll be at The Des Moines Home and Garden Show at the Iowa Events Center Feb. 12-15. Take $3 off your ticket by ordering online through this promo button. Stop by our booth, we love seeing friendly faces!